In a latest development from jail on non-luxurious life of self styled-godman Gurmeet Ram Rahim, who is supported and followed by million of people, is now all alone in the prison and want himself to be hanged. “The day Ram Rahim Singh was lodged in jail, he couldn't sleep. He kept murmuring 'oh god, what's my fault' (rabba, mera kya kasoor hai),” inmate Swadesh Kirad, who is now out on bail told ANI. He informed that the prisoners were already fumed in anger due to the deaths of people in Dera violence. “Had he not been kept separately, they would've attacked him,” he claimed. Kirad also told that the jail officials treats 'Prisoner No. 8647' as a ordinary prisoner and there are no special privileges given to him. The lack of luxurious facility amenities in jail proved that Ram Rahim is not satisfied with his life in jail. 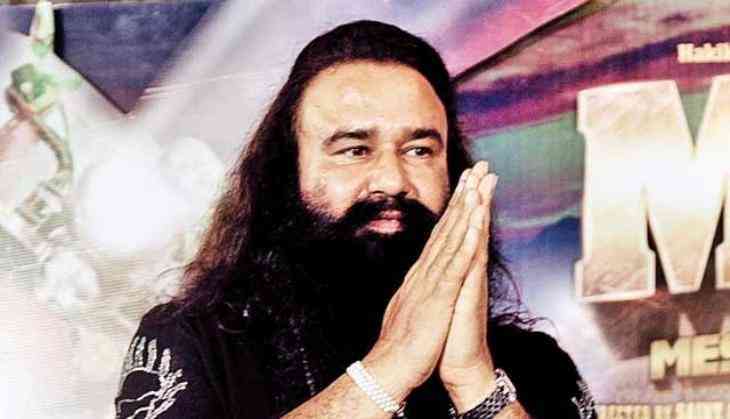 If the media reports are to be believed, Dera chief kept on waiting for someone to come and meet him, but, surprisingly, no one turned up to meet him in jail. Ram Rahim has been kept in Rohtak's Sunaria jail. According to the reports, even family members of Ram Rahim have not visited him in the jail yet. Only his lawyer made an entry to get some of the documents signed. Reportedly, Ram Rahim is suffering from cough, cold and fever and he was treated by the jail doctors. According to the jail norms, visitors can only come to meet him on Thursday and Monday. But on Thursday, no one came to meet him and he waited till 5pm. Only his lawyers had come and taken the signature so as to make the appeals in the High Court.